Kleine en minder vaak bezochte havens langs de ruige kust van Wales. Van Liverpool in het Noorden tot Cardiff en de River Severn in het Zuiden. 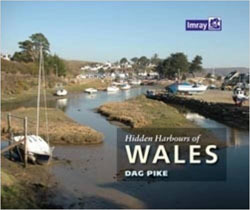 Hidden Harbours of Wales is a tour of small and infrequently visited harbours on the Welsh coast, starting from Lydney on the River Severn and finishing a world away at Connah's Quay on the River Dee on the north coast. 'Hidden harbours' vary from defined ports enclosed by breakwaters to small quays and landings. Most have a long history, often involving speculation by local landowners in the days before railways, when the coast was the best means of communication. Many of the harbours described in this attractive tour date from the 18th and 19th centuries, a time of expanding trade in coal, ore, grain and stone and industrial growth; and having been little used for decades have acquired an attractive and, in some instances, even haunted atmosphere.